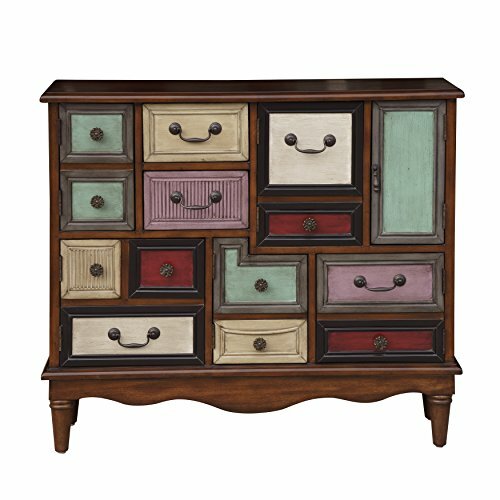 With six doors and two drawers,this apothecary-inspired accent chest boasts plenty of storage and makes a distinctive addition to any room. An eclectic mix of colorful painted finishes enhances its design while a warm brown finish and burnished brass hardware complete the look. If you have any questions about this product by Accentrics Home, contact us by completing and submitting the form below. If you are looking for a specif part number, please include it with your message.